The handle is made of machined aircraft grade 6061 T6 aluminum alloy that has been anodized with the highest quality coating available, type III hard anodize. This innovative, ergonomiccly designed handle has a unique look and feel. 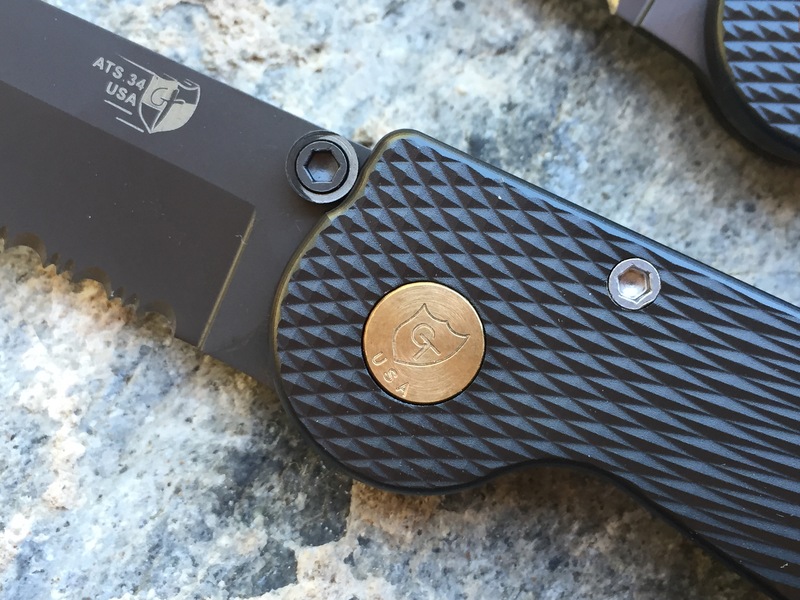 Strong, yet lightweight and with a textured surface unlike any other knife. Incorporated into the handle is a relieved area behind the pivot which acts as a self guard. Making this design the most comfortable and practical knife on the market today.